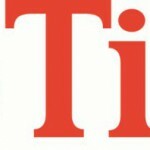 Rio Tinto warns that Gove operations could be suspended (0) January 8, 2013 The operations of Rio Tinto’s troubled Gove aluminium refinery in Arnhem Land, Northern Territory, are at risk of being suspended. Australia’s Dirty Business (0) January 7, 2013 Dirty Business is a three part series on Australian mining that was yesterday launched by SBS. Fake press release wipes $314 million off Whitehaven (5) January 7, 2013 A fake press release forced Nathan Tinkler’s Whitehaven Coal into a trading halt today after $314 million was wiped off the company’s value. 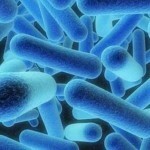 Legionella outbreak forces mining camp closure (0) January 7, 2013 The potentially fatal legionella bacteria has been discovered in the water system of Santos’ coal seam gas camp at Bauhinia, south-west of Gladstone. 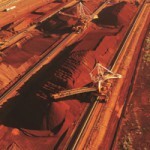 Market recovery to boost miners in 2013 (0) January 7, 2013 Iron ore prices have surged more than 70 per cent in the last four months, restrengthening projects in Western Australia and sending miners back to work on major projects. Cutifani slated for Anglo American top job (0) January 7, 2013 AngloGold Ashanti CEO Mark Cutifani is reportedly close to being snapped up for Anglo American’s open CEO position. Job cuts motivated by greed: CFMEU (0) January 7, 2013 The Construction, Forestry, Mining and Energy Union says Thiess and Xstrata are exaggerating a downturn in commodity prices in order to justify sacking workers in north Queensland. Hunter mines fatality free for 2012 (0) January 7, 2013 New South Wales’ Hunter Valley has had one of its best years, recording zero fatalities in 2012. Tinkler wants his private jet back (0) January 7, 2013 Mining magnate Nathan Tinkler is attempting to refinance $11.42 million of debt in order to stop receivers selling his private jet and helicopter. 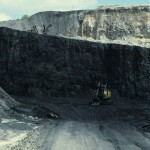 Poole’s phone call raises eyebrows at ICAC hearing (0) December 14, 2012 Investment banker Richard Poole was the centre of yesterday’s Independent Commission Against Corruption investigations into questionable coal deals in the New South Wales Bylong Valley. Storms close WA mines (0) December 14, 2012 Heavy rain across most of Western Australia’s southwest caused a number of coal mines to halt production this week. Australian Mining is going on a Christmas Break (0) December 14, 2012 It’s that time of year when the Australian Mining office shuts down and we go on our summer break. Joy Global boost profit but downsize for 2013 (0) December 14, 2012 Mining equipment maker Joy Global’s fourth quarter earnings rose 23 per cent this year, but lower sales are expected next year as commodity prices soften. New $110m coal train facility opens in the Hunter (0) December 14, 2012 Asciano’s coal haulage division Pacific National Coal has opened a new $110 million train support facility in Greta, New South Wales. 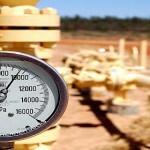 BHP approves Longford plant investment (0) December 14, 2012 BHP has approved US$520 million for its Longford Gas Conditioning plant joint venture project in Victoria. 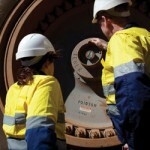 Viento wins Pilbara power contracts (0) December 14, 2012 Viento Utility Services has just won the new engineering firm’s first contract. Bomb threat at Metgasco office (0) December 13, 2012 Metgasco says it received a bomb threat at its Casino office earlier this week after a man walked into the building and threatened staff. Conflicting rules stall $5.9 billion mine (0) December 13, 2012 Government regulation and approval problems have forced Xstrata’s Philippine unit to delay the $5.9 billion Tampakan copper-gold mine. 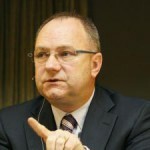 Molycorp boss quits as company faces investigation (0) December 13, 2012 Molycorp CEO Mark Smith has resigned, a month after the company revealed it was under investigation from the United States Securities and Exchange Commission. 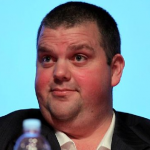 Tinkler in royalty battle with old friend (0) December 13, 2012 Mining magnate Nathan Tinkler is locked in a royalties battle with former business partner Matthew Higgins over payments from the coal tenement that first made them millionaires. 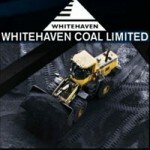 Whitehaven halts ‘dangerous’ coal trucking (0) December 13, 2012 Whitehaven Coal has halted trucking coal from its operations after deeming the operation too dangerous. FIFO worker narrowly escapes paralysing in pool accident (0) December 13, 2012 A Karratha fly-in, fly-out worker has broken his neck diving into a hotel swimming pool following a few end-of-rotation beers last week. 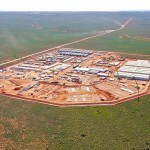 Forge wins BHP Yarnmina power contract (0) December 13, 2012 Forge Group has been awarded the EPCM contract to develop BHP Billiton’s Yarnmina power station in the Pilbara. 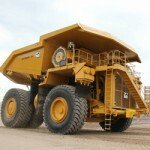 Macmahon to become miners (0) December 12, 2012 Macmahon Holdings today confirmed it plans to exit the construction industry and shift focus towards becoming a fully fledged mining contractor. 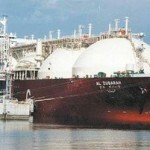 Gorgon’s standing orders shot down (0) December 12, 2012 A memo distributed on Sunday to staff working on Chevron’s $US52 billion Gorgon natural gas project banning sitting during shifts has today come under fire. Pilbara housing crisis turns miners into boaties (0) December 12, 2012 As the pressure to find accommodation in the Pilbara increases, resource companies have resorted to housing workers on boats. 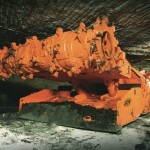 Sandvik announces final redundancies at Heatherbrae site (0) December 12, 2012 Sandvik Mining, a global supplier of equipment and tools, has finalised the last nine of its redundancies at its Hunter Valley Site. 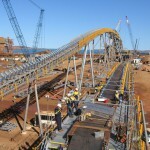 Decmil wins Rio construction contract (0) December 12, 2012 Decmil has won a $30 million contract for Rio Tinto’s iron ore operations in the Pilbara. 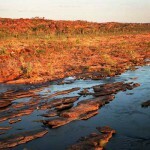 AMEC calls for clearer development plans in WA’s Kimberley (0) December 12, 2012 Western Australia’s mining industry representatives have called for clearer resource development plans in the state’s Kimberley region. 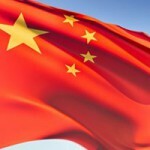 Big miners offload $2 billion, China buys it all (0) December 12, 2012 BHP Billiton, Rio Tinto and Anglo American have offloaded almost $2 billion in two recent deals, with Chinese firms picking up most of the new mining and energy projects. Bechtel holding information sessions for QLD jobseekers (0) December 12, 2012 Bechtel will be holding a recruitment drive over the next days as they amp up their search for local workers for their LNG project in Gladstone. 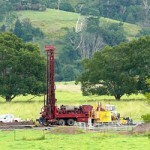 Nambucca Valley mining license gets the go ahead (0) December 12, 2012 Mining exploration is set to start up in Nambucca Valley after a company was granted at license by the NSW government to search for gold and antimony. 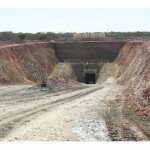 Rio and Anglo American offload Palabora stakes (0) December 12, 2012 Rio Tinto and Anglo American have agreed to sale off their stake in Palabora Mining to a joint South African and Chinese consortium. Fourth trading halt in a month for Lynas (0) December 12, 2012 Lynas Corporation entered another trading halt early this week following a statement from the Malaysian Government demanding the company export “all residue” from its Kuantan processing plant. 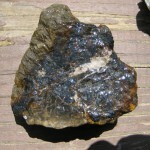 Sirius Resources to raise $44 million for exploration (0) December 12, 2012 Strong performer Sirius Resources has confirmed it will raise $44 million in a placement priced at $2 a share. 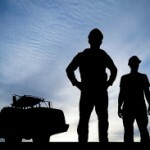 Employer sentiment down (0) December 11, 2012 Hiring intentions in the mining sector are set to experience a significant slump in the new year, according to new employment data released today. 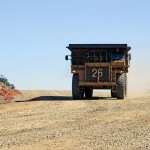 Mining approvals take two years (0) December 11, 2012 The WA Department of Mines have released figures showing it takes just over two years for a new mining project to reach final approval in the state. 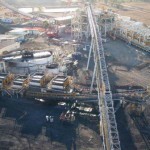 Misbehaving Xstrata worker caught on video (0) December 11, 2012 Security camera footage showing a water truck driver spraying another worker on an Xstrata mine in north Queensland has gone viral after being uploaded to YouTube. Socialists push for resource nationalisation in WA (0) December 11, 2012 The Socialist Alliance are aiming to nationalise Western Australia’s resources as they put forward three candidates for the 2013 state elections. QLD suffers most dangerous year in a decade (0) December 11, 2012 Queensland’s mining industry had one of its most unsafe years in more than a decade. 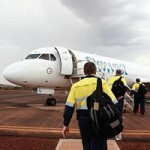 FIFO workers told “death” is the only excuse for not showing up to work at Christmas (0) December 11, 2012 WA fly-in, fly-out workers are being warned they will face fines and docked pay if they don’t show up to work over the Christmas and New Year period. Open cut operations cease at Ranger uranium mine (0) December 11, 2012 Energy Resources of Australia’s Ranger uranium mine has finally stopped open cut mining, after three decades of operation. 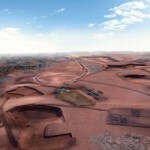 Fortescue to sell Pilbara iron ore stake (0) December 10, 2012 Fortescue Metals Group has announced it will sell its stake in its equal joint venture with Pilbara junior miner BC Iron which was struck in 2009. Parent’s diesel exposure increases likelihood of childhood brain tumours (0) December 10, 2012 Children whose fathers work around diesel powered machinery are more likely to develop cancer, a WA study has found. New risk management program improves mine site safety (0) December 10, 2012 University of Queensland (UQ) researchers together with the coal industry have developed an online knowledge database for the management of mine site risks. Before/after images of PNG mine rehabilitation (0) December 10, 2012 Barrick Gold have released striking new images showing the transformation of a mine in Papua New Guinea after its rehabilitation plan kicked in. 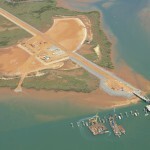 Shipping from Rio’s new $1.45 billion South of Embley bauxite mine to start in 2016 (0) December 10, 2012 Rio Tinto Alcan announced it expects to spend $528 million over the next three years developing is new South of Embley bauxite mine, located near Weipa in Queensland’s Far North. 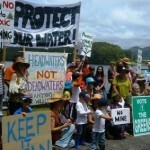 Tarkine mining could go ahead despite national heritage listing (0) December 10, 2012 Some mine leases may be excluded from a possible national heritage listing of Tasmania’s Tarkine region, fuelling debate about the future of the area. New challenge to coal mine proposal (0) December 10, 2012 While the NSW Government has approved Ashton Coal’s new mine expansion near Singleton, conservationists and landowners have appealed the decision in court. Coal terminal protests continue in Newcastle (0) December 10, 2012 A group of Newcastle residents opposed to a fourth coal terminal in Newcastle have handed out 15,000 leaflets to local residents. 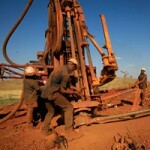 Aussie miners to smash overseas competitors (0) December 10, 2012 Over the next two decades Australia’s mining industry will attract over 18 times the investment planned for South Africa, a study has shown. Foley distances himself from Labor “cowboys” as ICAC investigation continues (0) December 10, 2012 New South Wales Labor minister Luke Foley has vented anger towards former colleagues for their demonstration of “shameless contempt” for environmental protection and coal exploration licence approvals. 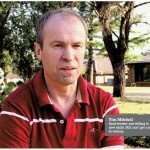 FIFO workers say bosses don’t care (0) December 10, 2012 FIFO workers say their employers do not care about their well being and most say they do not feel valued for the work they do, a new survey has found. Anti-mining activists weakened (0) December 10, 2012 Locals fighting mining and energy developments in NSW say they will be badly weakened by a proposed funding cut to the state’s Environmental Defender’s Office. Memorial planned for killed Sundance board members (0) December 10, 2012 Current Sundance Resources head George Jones is working towards building a memorial to the company’s board members that died in the 2010 Congo plane crash. 130 jobs cut from Centennial Coal’s Newstan mine (0) December 10, 2012 Thirty contract mining jobs are set to go from Centennial Coal’s Newstan mine as the company continues to cut costs. Diversified Mining Services cuts jobs (1197) December 10, 2012 Coal mining contractor Diversified Mining Services is cutting jobs. 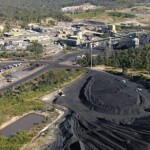 Movement in BHP’s ranks as coal chief Ian Maxwell departs (0) December 7, 2012 BHP Billiton has made swift executive changes following the resignation of the company’s energy coal president Ian Maxwell yesterday. 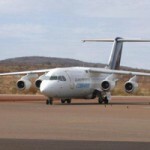 Pegasus halts trading after Horizontal Falls mining ban announced (0) December 7, 2012 Copper explorer Pegasus Metals has placed trading on hold until Monday as the company attempts to clarify its drilling operations in the Kimberly. 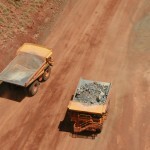 Chinese growth a boost for mining (0) December 7, 2012 A UBS economist has tipped a rise in China’s growth rate next year will see the country return to infrastructure investment which is good news for Australia’s resource sector. Coal gas company fined $100k (0) December 7, 2012 A coal gas company has been hit with fines and court costs of $100,000 after breaching environmental standards and not notifying regulators. 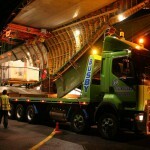 GE finalises $700 million Industrea deal in a move to expand global mining network (0) December 7, 2012 After months of discussions, GE mining has finalised its $700 million purchase of Australian mine equipment manufacturer Industrea. 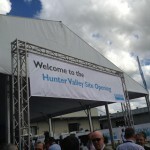 28 jobs cut at Sandvik Hunter Valley Site (0) December 7, 2012 Sandvik Mining has confirmed that 28 workers at its Hunter Valley Site at Heatherbrae have been made redundant. 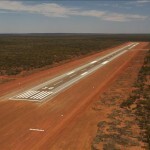 FMG rejects indigenous criticism claims (21) December 7, 2012 Fortescue chief Nev Power has rejected Indigenous spokesperson David Collard’s claims that Aborigines don’t want to work in mining as it offends their culture. Massive Chevron barge stranded on reef (0) December 7, 2012 A Chevron barge carrying 1,800 tonnes of construction equipment, 300 litres of diesel, and 1,000 litres of hydraulic fluid is stranded on a limestone reef off the WA coast. Fleetwood wins new Rio Tinto accommodation village contract (0) December 7, 2012 Rio Tinto and Fleetwood have entered into a new agreement for accommodation at Rio’s Searipple Village. $9bn blowout for Gorgon project (0) December 6, 2012 Chevron have announced a cost blowout of $9 billion, blaming labour costs and bad weather for the rising development costs. 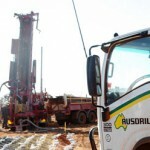 WA Government boosts greenfields explorers (0) December 6, 2012 The WA Government has released the latest round of funding for exploration drilling in the state, with almost three quarters of successful applicants targeting gold. Mining camps create “hot boxes” of crime and abuse (0) December 6, 2012 A prominent Queensland researcher says mining camps create “hot boxes” of crime and drug abuse, and can be compared to concentration camps. 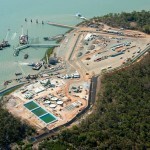 Santos $16bn GLNG project on track (0) December 6, 2012 Despite speculation over cost blowouts, Santos said the GLNG projects on Curtis Island are on safe ground. Shell boss “not a fan” of FIFO (0) December 6, 2012 The boss of Royal Dutch Shell’s Australian operations, Ann Pickard, has joined Woodside CEO Peter Coleman in talking down the benefits of fly-in fly-out work. Mining slowdown hurts NSW (0) December 6, 2012 Despite previously forecasting a $289 million surplus earlier this year, the NSW budget is expected to be in deficit in 2013 due to a slowdown in the mining sector. Xstrata coal builds new rail line (0) December 6, 2012 Xstrata has built a new section of railway in the Southern Highlands after concerns were raised that its mining operations could damage existing tunnels. Unions protest after sackings at Bechtel (0) December 6, 2012 Unions are protesting against what they say are unfair dismissals by Bechtel after multiple workers were sacked from the company’s Curtis Island operations. WesTrac fined after man loses leg (0) December 6, 2012 WesTrac and Hardy Bros have been fined more than a quarter of a million dollars after a worker lost his leg in an industrial accident. WA protects Horizontal Falls from mining activity (0) December 6, 2012 Under a new state exemption mining operations will be prohibited within a 72sq km radius around Western Australia’s Horizontal Falls. 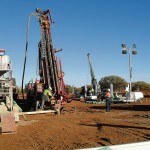 Queensland’s $4 billion mineral resource to be unlocked (0) December 5, 2012 The Queensland government are investigating how to unlock $4 billion worth of mineral resources in the state’s North West minerals province. New longwall for the Illawarra (0) December 5, 2012 Gujarat NRE is one step closer to developing its next longwall operation after the NSW Department of Planning recommended its approval. Rail closure causes headaches for Whitehaven (0) December 5, 2012 Whitehaven Coal might seek temporary approval to truck coal from its Narrabri underground mine, after a train derailment near Boggrabri forced the closure of its rail line. 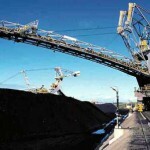 Can we build a $50 billion link between QLD coal and WA iron? 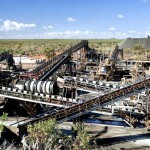 (0) December 5, 2012 A Japanese firm has agreed to develop a feasibility study for a plan to develop a $50 billion steel industry by linking WA’s iron ore mines with QLD’s coal projects. Reserve Bank drops cash rate to 3% (0) December 5, 2012 The Reserve Bank yesterday moved to cut the country’s cash rate to 3 per cent in an effort to stimulate the non mining sectors of the economy before Christmas. Tinkler loses private jet and helicopter (0) December 5, 2012 Mining magnate Nathan Tinkler has lost the rights to his private jet and helicopter, after the company that holds them was placed in receivership. Hunter health fears over dust levels (0) December 5, 2012 Community groups in the Hunter Valley will start to independently monitor air quality along the Hunter coal corridor to assess levels of pollution. Santos makes 100 workers redundant (0) December 5, 2012 A restructure by oil and gas company Santos will see 100 workers laid off in Adelaide and the Cooper Basin. Rinehart to judge Christmas lights competition (0) December 5, 2012 Billionaire mining magnate Gina Rinehart has flown into regional Queensland to judge a Christmas lights competition in Alpha and Jericho. Plans for underwater sand mine off Sydney (0) December 5, 2012 A company has applied for a licence to mine sand off Sydney’s coast. Agreement to extend PNG Ok Tedi mine soon to be finalised (0) December 5, 2012 Ok Tedi mine landowners in Papua New Guinea are expected to make a decision on the mine’s future by the end of the week. Lynas pursued into Malaysian court (0) December 5, 2012 Environmental group Save Malaysia Stop Lynas has obtained a hearing date to again challenge Lynas’ temporary operating permits. Alan Jones calls new $10bn coal mine a ‘betrayal of ordinary Australians’ (0) December 5, 2012 Alan Jones has accused the Queensland Government of ‘selling out’ to Indian mine developers as plans for the $10 billion Carmichael Coal mine, rail and port project go ahead. Sandfire makes first copper shipment from DeGrussa plant (0) December 5, 2012 Sandfire Resources has completed the sale of its first shipment of copper concentrate from its DeGrussa mine. 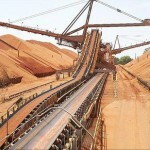 QLD mining industry to export safety standards to India (0) December 5, 2012 Queensland companies are using their experience in Australia’s mining industry to export their technical services and safety training to India’s resources sector. 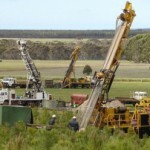 Mac Services Group to appeal Gulgong miners camp rejection (0) December 4, 2012 Mac Services Group has decided to appeal the decision to reject Gulgong miners’ camp in the Land and Environment Court. University scholarships funded by Doyles Creek mine (0) December 4, 2012 Newcastle University kept quiet about aspects of its $1 million relationship with the Doyles Creek mine in 2010 for fear of reputation risk, internal emails have revealed. 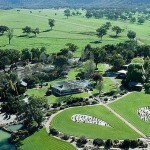 Mining downturn good news for housing in Hunter Valley (0) December 4, 2012 Renters and buyers are said to be benefiting from the mining downturn in the Hunter Valley as more properties hit the market. BHP and Rio cut 400 US mining jobs (0) December 4, 2012 Rio Tinto and BHP Billiton have cut 400 jobs, or 75 per cent of the workforce, at their $6 billion Resolution copper mine in Arizona. 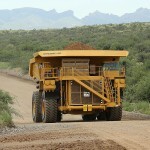 Newmont Mining CEO steps down (0) December 4, 2012 Newmont Mining CEO to step down as the company looks to boost production amid rising costs. 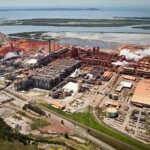 Vale cuts new spending by $5.1 billion (0) December 4, 2012 Brazilian mining giant Vale has cut estimated 2013 spending by $5.1 billion and reshuffled its plans to focus on the iron ore sector. 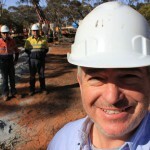 Indigenous mining jobs push misguided, spokesman says (0) December 4, 2012 The mining industry’s drive to increase the number of Indigenous Australian in resources work is ‘misguided’ according to Indigenous spokesperson David Collard. 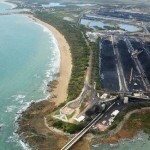 Global warming guides BHP investments (0) December 4, 2012 BHP Billiton says the risk of climate change and wild weather influenced its decision to upgrade port developments at Hay Point in Queensland. Tropicana increases resource (0) December 4, 2012 The massive Tropicana gold project has dramatically increased its mineral resources at the site. Pilot strike threatens FIFO operations (4) December 4, 2012 WA’s fly-in-fly out workforce could be left stranded after pilots voted in favour of strike action over a pay dispute. 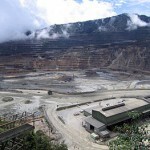 PNG mining tax review causes concern (866) December 4, 2012 Papua New Guinea’s Government is trying to dampen miners’ fears ahead of its mining tax review, with concerns it could look at greater nationalisation. CFMEU calls to stop changes to mine safety in Queensland (0) December 3, 2012 The CFMEU has launched a campaign against the Queensland State Government’s proposed safety legislation changes. Pilbara campus for UWA (0) December 3, 2012 The University of WA is considering opening a campus in the Pilbara to support its expansion into the resources sector in the state’s northwest. 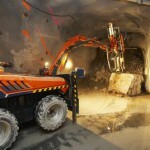 Goodrich to acquire Ellendale mine (0) December 3, 2012 Goodrich Resources will acquire Gem Diamonds Ellendale mine, which produces around half of the world’s supply of yellow diamonds. 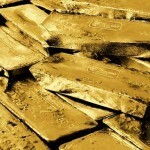 Australian gold output down (1) December 3, 2012 A new report has found Australia’s gold output fall by nearly five tonnes in the September quarter. 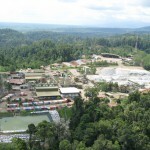 Newcrest offloads shares in Gosowong to Antam (0) December 3, 2012 Newcrest has decreased its stake in the Gosowong mine in Indonesia, selling a 7.5% stake in the mine to partner Antam. Rio bosses tour Northparkes mine (0) December 3, 2012 The board of Rio Tinto, including chief executive Tom Albanese and chairman Jan du Plessis, have been given a tour of the Northparkes mine in central New South Wales. Chinese miners trapped underground (0) December 3, 2012 Sixteen Chinese miners are trapped after their underground mine flooded. Queensland Rail National unveils coal plans (0) December 3, 2012 Queensland Rail National has announced plans for 10 new coal-train sidings as part of a $130 million train fuelling and maintenance facility at Hexam. 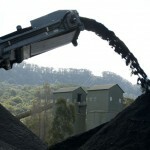 US coal up thanks to Australia (0) November 30, 2012 The US has received a boost on the global coking coal market and they’ve got Australia to thank for it. Chemical waste spill after failure at Gladstone alumina factory (0) November 30, 2012 An unknown amount of chemical waste has been released into a residential area of Gladstone after a mechanical failure at Queensland Alumina’s refinery. Qantas axe CFMEU’s mining ads (0) November 30, 2012 Qantas has removed a series of the Construction Forestry Mining and Energy Union mining adverts from their domestic in flight entertainment schedule saying they do not run “political” ads. 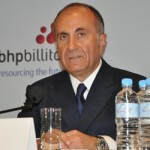 BHP defends shareholder dividends (0) November 30, 2012 Following BHP Billiton’s AGM on Tuesday that company has been forced to defend the size of its dividends and other cash returns in the face of angry shareholders. WA mining still strong: Government (0) November 30, 2012 The WA Department of Mines and Petroleum says new statistics show the mining boom is still in full swing, and WA is generating billions in sales from the sector. Organised crime targets QLD mines (0) November 30, 2012 Organised crime gangs are stealing millions of dollars worth of equipment from Queensland mine sites, a report by the Crime and Misconduct Commission has revealed. Quarry extension secures jobs (0) November 30, 2012 Lithgow Council’s decision to extend the life of the Austen Quarry by another five years has ensured jobs in NSW’s Central West. Crushed coal miner wins payout (0) November 30, 2012 A worker who was crushed at a Lake Macqaurie coal mine has been awarded more than half a million dollars. 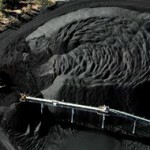 More coal job losses as Rio cut costs (0) November 30, 2012 More job cuts are expected at Rio Tinto’s coal mining operations in Queensland after the company announced plans to reduce its operating and support costs by $4.81 billion. Sandvik slashes jobs at manufacturing facility (94) November 30, 2012 Sandvik has cut jobs at its Heatherbrae manufacturing and support facility eight months after opening the site, and will shut its Rocklea operations. 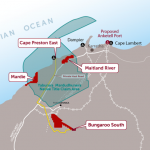 WA iron ore project put on hold (0) November 30, 2012 Iron ore miner Grange Resources has cut 18 jobs and delayed its multi-billion dollar Southdown magneitite project on WA’s South Coast blaming high development costs. Coal and Allied cut jobs at Hunter Valley mine (0) November 30, 2012 Bengalla coal mine in the Hunter Valley has laid off more than a dozen workers as a result of increasing costs and a strong Australian dollar. 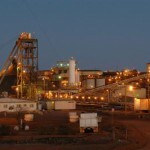 BHP reports strong financials despite wavering global economy (0) November 29, 2012 BHP Billiton’s profit and net operating cash flows are at the second highest level in the company’s 127 year history. 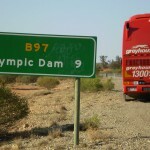 Greens move to stop Olympic Dam Expansion defeated (0) November 29, 2012 The Olympic Dam Expansion Indenture will go ahead after the Green’s attempt to block works has been defeated. 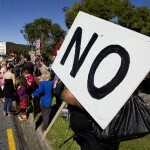 Maori tribe want mining exploration halted (0) November 29, 2012 Local residents living in and around Northland, New Zealand are protesting against hard rock mining in the area. 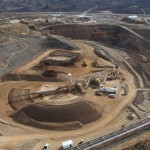 Rio to cut billions in spending (0) November 29, 2012 Mining giant Rio Tinto has flagged moves to cut over $4 billion in costs over the next two years in response to softening demand in the resources sector. Appin mine strike ends (1304) November 29, 2012 Supervisors at Illawarra Coal’s Appin mine will return to work tomorrow following a two week strike. 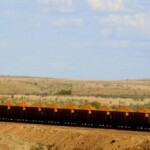 New rail lines could kill iron ore price: UBS (0) November 29, 2012 The new rail lines under construction in the Pilbara could damage the iron ore price and threaten the existence start-up projects like Gina Rinehart’s Roy Hill mine, according to UBS. 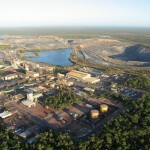 Mining professionals in demand overseas (0) November 29, 2012 Skilled white collar workers in Western Australia’s resources sector are in demand overseas, according to the managing director of a global business firm. CFMEU dismisses WA government figures on local content (0) November 29, 2012 The CFMEU has said that jobs figures in Western Australia’s resources sector don’t give an accurate picture of what’s really happening. Loaded coal train derails (5) November 29, 2012 A fully laden coal train has derailed in New England, on its way to Newcastle. 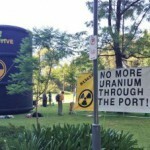 Office damaged as protestors target uranium miner (0) November 28, 2012 Anti-uranium protesters damaged a mining company’s office today in a bid to halt the production of uranium in Western Australia. Spring Creek mine shut, staff made redundant (0) November 28, 2012 230 Solid Energy workers at Spring Creek mine, near Greymouth, have been left without jobs as the mine’s operations have been put on hold. 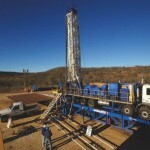 New technology will solve “green opposition” to fracking (0) November 28, 2012 WA Minister for Mines and Petroleum Norman Moore says companies developing shale gas need to look toward new technology to overcome “green opposition” to the industry. 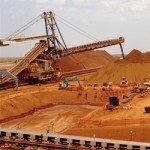 Australian resource projects worth $268.4 billion (0) November 28, 2012 A report released today shows investment activity in the mining sector is strong with $268.4 billion committed to major projects. 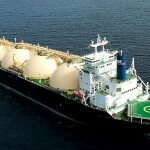 Shell and Barnett clash over floating gas plants (0) November 28, 2012 Western Australian Premier Colin Barnett has confirmed that Shell is pushing to develop the Browse gasfield through its floating liquefied natural gas technology, calling the plan ‘silly’. Women in mining at risk due to job cuts (0) November 28, 2012 More women than men have lost their jobs in mining, creating a further gender diversity imbalance a mine manager has warned. 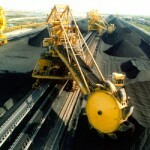 China may scrap coal contracts; open up way for further imports (0) November 28, 2012 China’s economic agency has put forward a plan to scrap annual thermal coal contract systems that forces miners to sell set amounts to power companies at fixed prices. 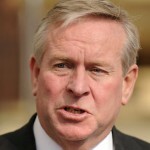 Barnett takes a swipe at Asian Century (0) November 28, 2012 WA Premier Colin Barnett has called the Federal Government’s Asian Century White Paper “underwhelming”, describing it as heavily flawed. 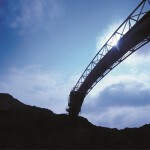 Thiess wins BMA Caval Ridge contracts (0) November 28, 2012 Thiess has been awarded two new contracts for BMA’s Caval Ridge coal mine in the Bowen Basin. 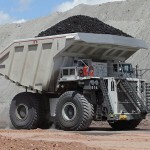 T4 loader shrinks as coal woes continue (0) November 28, 2012 Port Waratah Coal Services has cut the capacity of its T4 coal loader on Kooragang Island by nearly two-thirds to just 25 million tonnes a year. More coal jobs to go in NSW (0) November 28, 2012 Centennial Coal will cut 40 jobs and halt the operation of two NSW mines by Christmas. 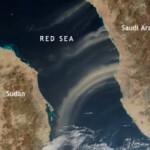 Push to mine the Red Sea by 2014 (0) November 28, 2012 The Sudan and Saudi Arabia are working together to start underwater mining in the Red Sea as soon as 2014. 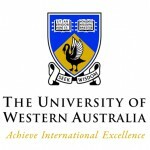 Karara offers scholarships to uni students (0) November 28, 2012 Karara Mining is offering scholarships to university students who live in Western Australia’s mid-west region and want to pursue a career in the mining industry. 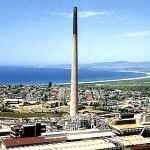 Port Kembla’s stack to fall (0) November 27, 2012 Four years after an application was lodged to remove Port Kembla’s iconic 200m-high copper chimney, debate continues about the best way to demolish the stack. 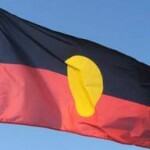 Pilbara junior inks native title deal (0) November 27, 2012 Pilbara iron ore junior Iron Ore Holdings has sealed a native title deal with the Yaburara Mardudhunera peoples that will ensure the future expansion of its new projects. 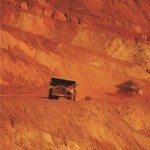 Halted Fostescue projects could recommence in 2013 (0) November 27, 2012 Andrew Forrest, Fortescue Metals Group chairman, has committed to resuming iron ore projects and has predicted demand for iron ore from China would pick up again. 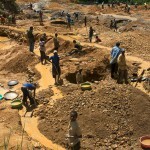 African mine workers demand 50% pay increase (0) November 27, 2012 Zambian copper mine workers are calling for up to 50 per cent in pay increases as their wage agreements expire at the end of this year. New Zealand mine safety compared to China’s (0) November 27, 2012 A leading mine safety consultant has compared New Zealand’s mine safety to China’s in wake of the Pike River tragedy. 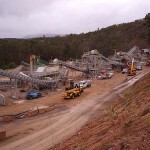 ICAC investigates Monaro Mining’s involvement (0) November 27, 2012 The Independent Commission Against Corruption yesterday was told by senior resources bureaucrat that small mining company Monaro Mining’s large offers were ‘extraordinary’. 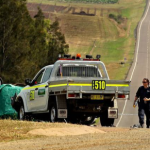 Miner killed on the way to work (0) November 27, 2012 A coal miner in the Hunter Valley has died on the way to work after his car collided with another vehicle and rolled several times. 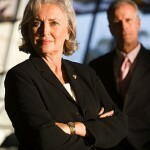 Women scant on WA boards (0) November 27, 2012 A new report shows WA is lacking in gender diversity with women only representing 4 per cent of board members. 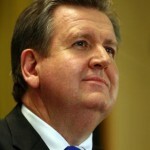 Cancelling mining licences would be expensive, impossible: O’Farrell (0) November 26, 2012 NSW Premier Barry O’Farrell has said requests from the NSW opposition to suspend controversial mining and exploration licences would not be met. Incitec Pivot receives essential equipment delivery (0) November 26, 2012 Incitec Pivot yesterday took delivery of a vital part to fix its waste hear boiler, after the boiler’s failure two weeks ago forced the company’s acid plant to close. 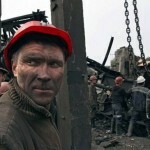 Gas explosion injures seven miners (0) November 26, 2012 Seven workers have been injured in an underground methane gas explosion at a coal mine in Russia’s Siberia region. 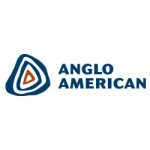 Seven in the running to be Anglo’s new CEO (0) November 26, 2012 Executives headhunted from BHP Billiton, AngloGold Ashanti, Barrick Gold, and Xstrata are all in the race to become Anglo American’s new CEO. 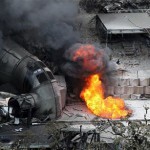 18 killed in Chinese mine blast (0) November 26, 2012 Eighteen coal miners are dead and another five are still trapped underground after an explosion at a coal mine in Guizhou Province. Roy Hill will outlive the “bureaucrats and politicians” (0) November 26, 2012 Roy Hill officials say they’re still confident Gina Rinehart’s fledgling iron ore mine in the Pilbara will be profitable, despite the short term “hiccups”. 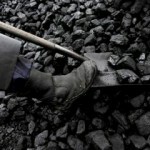 Coal prices will improve by April: GVK (0) November 26, 2012 The price of coal is expected to rise a Brisbane conference has heard. 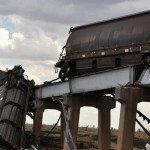 South African mine violence escalates (0) November 26, 2012 Inter-union rivalry is behind the latest resources violence flare up in South Africa. Lynas shares up as rare earth concentrate arrives for processing (0) November 23, 2012 Shares in Lynas Corporation rose after the company announced that about 100 containers of rare earths concentrate had arrived for processing at its new Malaysian plant. 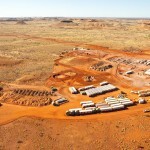 Paladin and Rio attempt to block BHP deal (0) November 23, 2012 Rio Tinto and Paladin Energy have attempted to scuttle BHP Billiton’s $430 million sale of the Yeelirrie uranium deposit to Canadian giant Cameco. Blair Athol mine closes today [images] (0) November 23, 2012 As the Blair Athol mine shuts down after 30 years and 250 million tonnes of coal, we have a look back at its operation. Atlas Copco expands into China (0) November 23, 2012 Mining equipment manufacturer Atlas Copco is close to securing a 75 per cent stake in Shandong Rock Drilling tools as it expands further into the Asian market. 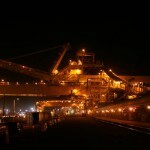 MMG cuts jobs at Golden Grove mine (43) November 23, 2012 MMG has cut more than 80 workers at its Golden Grove mine. 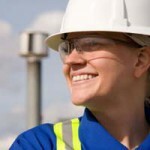 150 new hires for Bechtel as LNG projects fire up (0) November 23, 2012 Mining contract engineering company Bechtel is hiring between100 and150 new workers each week to build its gas plants on Curtis Island off Gladstone in Queensland. 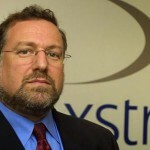 Speculation outgoing Xstrata CEO may head Anglo American (0) November 23, 2012 Rumours are abounding that Mick Davis, Xstrata soon to be leaving CEO, may be slated for Anglo American chief Cynthia Carroll’s job. 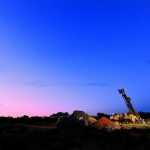 Doray begins gold mining in WA (0) November 22, 2012 The first new gold mining project in Western Australia’s Murchsion-Goldfields region has begun as Doray Minerals begins mining. Lycopodium revises profits down (0) November 22, 2012 Lycopodium expects its full-year results to be in line with 2012, breaking previous run of record revenue and profits. 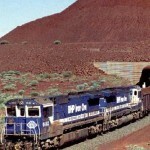 Pilbara iron ore rail plan delayed (0) November 22, 2012 The difficulty of delivering big infrastructure projects in Western Australia has today again been highlighted with the Pilbara multi-user iron ore rail line postponed by up to six months. Shell Australia launches new biodiesel facility in Western Sydney (0) November 22, 2012 Shell Australia today launched a new biodiesel facility at its Parramatta terminal to supply its Biodiesel 20 (B20) product to the New South Wales market. Government considering controversial mining tax changes (0) November 22, 2012 The Federal Government is considering making controversial changes to the mining tax in order to stop state governments stealing its revenues. 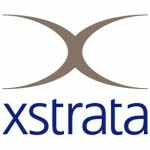 Glencore-Xstrata create world’s largest commodities trader (0) November 22, 2012 Glencore International’s $30 billion takeover of mining giant Xstrata has been approved by shareholders, but a multi-million dollar bonus package for executives has been voted down. 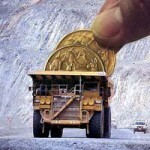 QLD miner praised for holding onto staff (0) November 22, 2012 A Queensland miner has decided to cut hours instead of jobs, a move being praised by unions. 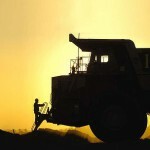 Mining boom different, not dead: RBA (0) November 22, 2012 Reserve Bank of Australia govenor Glenn Stevens says the mining boom is different, not dead, and reports of its demise have been “overhyped”. New tests target miners using fake urine (0) November 22, 2012 A range of specialist tests are being developed to catch-out those trying to cheat drug tests. 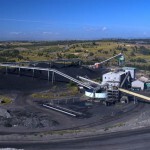 40 jobs cut at Anglo’s Dawson Coal Mine (0) November 22, 2012 Anglo American is set to cut forty full-time maintenance jobs at Dawson Coal Mine at Moura, south-west of Gladstone. Rio Tinto’s Blair Athol mine closes tomorrow (0) November 22, 2012 Rio Tinto’s Blair Athol coal mine will officially shut on Friday. 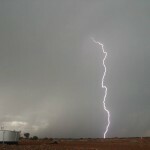 Mines urged to prepare for storm season (0) November 21, 2012 Queensland mines are being advised to prepare for the imminent wet season after previous years have brought severe weather conditions. 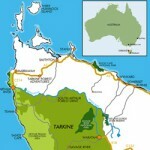 Plans to solve Queensland accommodation shortages (0) November 21, 2012 Gladstone Regional Council has approved the development of a new workers village in Targinie, Queensland. Hunter mine fined over dust (0) November 21, 2012 Rio Tinto’s Mt Thorley Warkworth coal mine has been fined by the NSW Department of Planning and Infrastructure after excessive dust was found to be leaving the site. Freeze corrupt mining operations: Labor (0) November 21, 2012 The NSW Labor party has joined with the Greens in calling on the State Government to suspend mining and exploration licences currently being investigated for corruption. 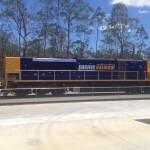 Expansion of rail facility creates jobs in QLD (0) November 21, 2012 Asciano’s coal haulage division, Pacific National Coal has commenced work on the $20 million expansion of its Nebo Maintenance Facility in regional QLD. Frank discussions dominate industry conference (27) November 21, 2012 The NSW Minerals Council Industry Conference was held in Sydney yesterday and featured frank discussions about the state of the industry from mining executives and suppliers. Is there dark matter at the bottom of a gold mine? (0) November 21, 2012 Scientists in the United States are searching for dark matter at the bottom of a South Dakota gold mine as part of a world first experiment. 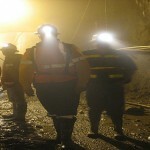 Shift work takes its toll on mining workforce (0) November 21, 2012 Unpredictable shift work rosters in the mining industry are having further reaching physical and psychological effects on workers and their families than first thought, new research has found. 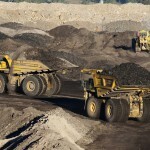 Coal jobs pain continues for Queensland (0) November 21, 2012 Despite the constant stream of job losses in Queensland coal mining, the Queensland Resources Council said the industry can take encouragement from recent global developments.